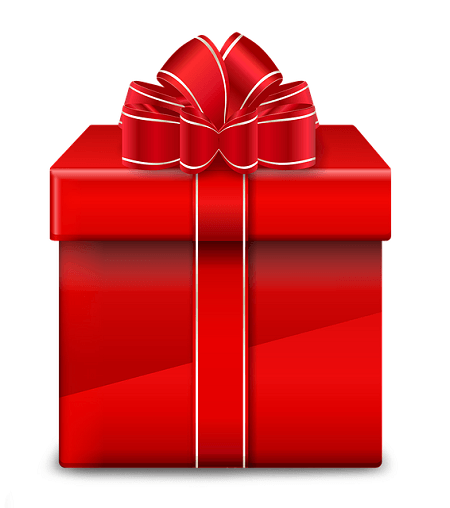 You are here: Home / Living With ADHD / Is ADHD A Gift? Is ADHD a gift? Most people are totally divided on how to answer this question. But, life is complicated, and you can’t really respond to this question with just a “yes” or “no” answer. So, this article reveals a clear-cut explanation as to whether ADHD is a gift or not. This is going to be a very nuanced discussion. But, if you’re willing to read this article through to the very end, you’ll most likely gain a new understanding of ADHD, and get to know the real opportunities that come with the condition. Why do some people say that ADHD is a gift? In my recently updated about page, I explain that my parents enrolled me in a gifted program when I was a child. I took gifted classes throughout middle school and junior high. Even though I couldn’t really figure out how to do math problems at the time, I had this burning desire to write stories, read books, and create stuff. I always knew deep down that my brain worked differently. And because you’re reading this article right now, there’s a good chance that you feel the same way as me. When your brain works differently, this gives you a set of unique advantages and disadvantages. You see the world through a different lens. The people who say that ADHD is a gift typically understand that ADHD creates a lot of pain in one’s life. The school system feels like hell at times when you have ADHD. Like I said, I couldn’t really figure out math problems in middle school because my brain didn’t want to process arithmetic for whatever reason (no matter how hard I tried). I was shamed by teachers and peers for this. But, by choosing to focus on the advantages that come with ADHD, you empower yourself with a positive mindset. It’s the people who think positively that tend to spot opportunities, acquire autonomy, and have the most fun in life. So, people who say that ADHD is a gift typically choose to focus on the positives that come with having ADHD, rather than the negatives. Viewing ADHD as a gift is not a denial of the very real pain that ADHD creates in one’s life. Viewing ADHD as a gift is just a winning perspective that will immediately improve your overall quality of life. Why do most people still reject the idea that ADHD is a gift? Mention that ADHD is a gift on the /r/ADHD subreddit, and you’ll probably be ridiculed for presenting an opposing viewpoint. Most people reject the idea that ADHD is a gift. And that’s totally fine. But, I’m going to tell you the reason why most people with ADHD don’t think that ADHD is a gift. The dirty secret is that most people with ADHD have trouble meeting their deficiency needs in life. Many people with ADHD are struggling with passing school classes, advancing in their career, maintaining a social life, paying the bills on time, and other very basic aspects of life. Most people with ADHD are barely keeping it together in life. 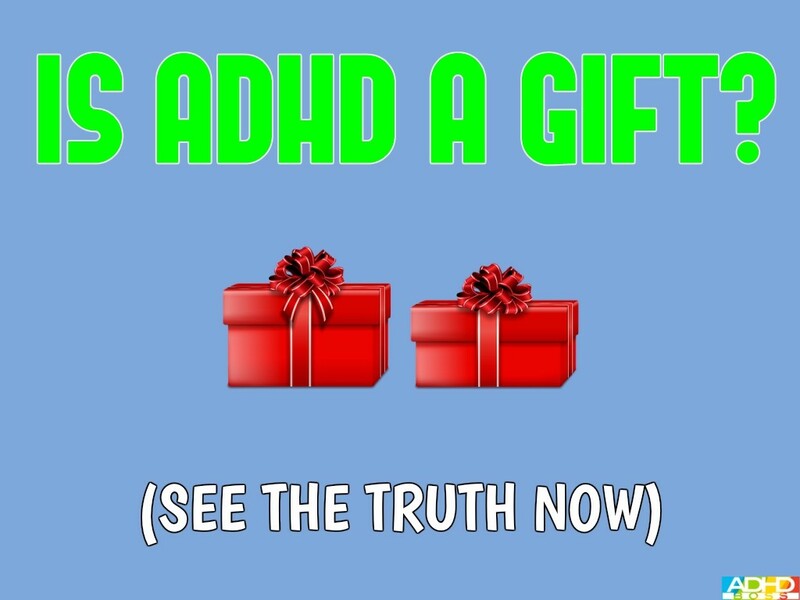 When your life is absolutely chaotic, of course you aren’t going to view ADHD as a gift. Most people with ADHD haven’t yet made it to the stage in life where ADHD becomes an asset rather than a liability. 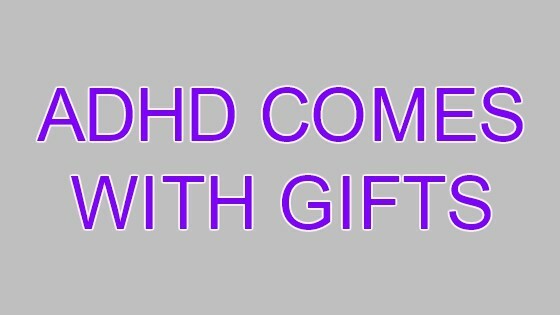 I actually don’t like the phrase “ADHD is a gift” because it’s too one-dimensional. I say that ADHD comes with gifts, because it’s the most accurate way that I can explain the mixed nature of ADHD. ADHD is a totally mixed bag with pros and cons. When you’re having trouble meeting your deficiency needs, ADHD is obviously going to make your life worse. ADHD will add more distraction, impulsiveness, and general craziness to your life. 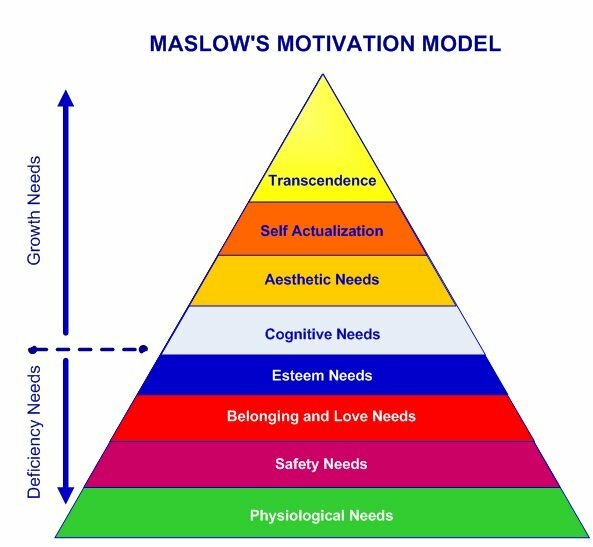 But, once you’ve reached a point in life where your deficiency needs are met, and you can focus on self-actualization (growth needs), this is where ADHD actually benefits your life. 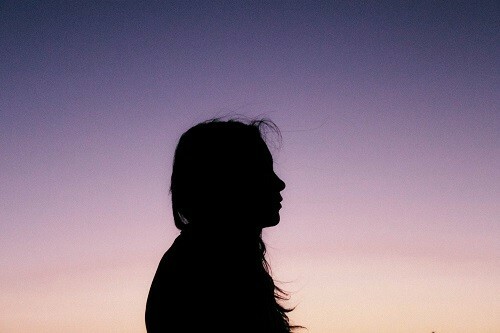 The gifts of ADHD kick in after you’ve created a foundation of stability in your life. When I was a scared, directionless college student, nothing really seemed to go well in my life. My grades were horrible. I didn’t have a purpose in life. I was using modafinil. And, I was just plain depressed. My website started gaining serious momentum. I started having way more fun in life. And things just became so much better. Today, I have nearly unlimited creative freedom, energy, and drive to do whatever I want. And I’ll continue living my life in this way for as long as humanly possible. I’m not going to feel totally fulfilled until I’ve helped you, since helping people with ADHD is my top priority at the moment. Remember how I said that most people with ADHD are struggling to meet their deficiency needs? This is a serious problem, and unfortunately, there’s no easy solution here. I wish that everyone with ADHD could have instant access to good food, work, housing, relationships, and fun. But, the reality is that these things take time to develop. If you’re like me, and it takes you a LONG time to get your deficiency needs in order, don’t worry. You just have to scrape and claw your way out of the difficult situation that you may be in. It doesn’t matter what you’re going through in life. Everyone is dealing with a certain amount of pain in one way or another. You just have to keep pushing through the pain, while keeping in mind that one day things will be a lot better. Life with ADHD will never be perfect. But, once your deficiency needs are met, and you’re finally starting to have some fun in life, that’s when ADHD will genuinely benefit you. ADHD will provide you with the creativity, spontaneity, and sense of freedom that helps you live an awesome lifestyle. Most people get stuck at step #2 of this process, because scraping and clawing your way out of a painful situation is really difficult. Please just remember that everyone is dealing with some kind of pain in their life. Overall, it should be clear that ADHD is a complicated condition that adds a number of obstacles and advantages to one’s life. ADHD is a totally mixed bag. But, I’m happy to say that ADHD does come with gifts that can be used in magical ways. You just have to scrape and claw your way into a position where you can use those gifts. Don’t worry if you haven’t made it to that point in your life yet. Your day will come, and your life will be powerful. you surely are THE ADHD Boss! I wholeheartedly agree with your points. I am now in the process of letting my ADHD be a gift. I am letting go of the things that make my ADHD feel worse than it has to everyday. Thank you, you helped me. Thank you for the ego boost Cagey haha. But seriously, I’m happy that you enjoyed the article. And I’m extra happy to hear that you’re in the process of letting your ADHD be a gift. It 100% becomes a gift as you mature as a person. I HOPE MY ADULT SON WILL READ YOUR PAGES I FORWARDED TO HIM. HE IS STRUGGLING SO BAD RIGHT NOW. I hope so too Kate. Please send him this website!